We Have Been Independent; Now, Let's Be Free ! It is that time of the year again when patriotism runs high and hypocrisy runs higher among Indians. The expression of hyper nationalism, exactly and only, twice a year, desecrates the celebrations of August 15th or January 26th. Social media takes this hysteria to new levels every year, when sharing misquoted, misspelled, and often untrue, quotes by famous and dead personalities and uploading photos with or of the tricolor becomes a 12 hour rage. Such is the window of this patriotism that if you have not changed your display picture or shared a patriotic message between 7 AM and 10 PM on these days, you better be ready to be labeled nothing less than a traitor, anti-national and, especially reserved for people of a certain religion, terrorists! There is nothing inherently wrong about celebrating national pride and wearing patriotism as a badge of honor. 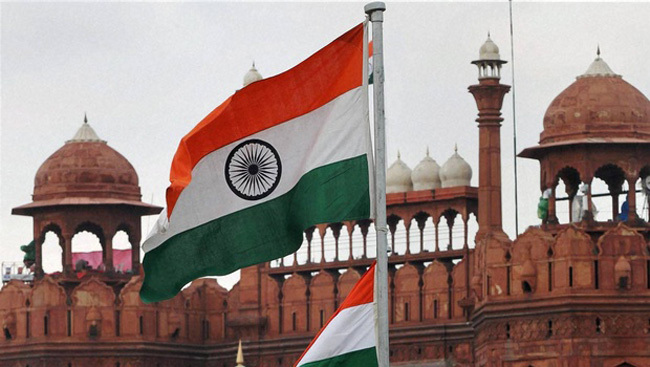 But to do so without introspection- a conversation even- is as hollow as the promises made by the people unfurling the tricolor at the Red Fort. Independence, in a political context, is nothing but self governance. While irrespective of the time passed, this remains the crowning jewel in the proverbial crown of any nation; it is bound to lose its relevance if it is not put in context. Freedom is the metrics that puts independence in context and gives it a perspective. Freedom is – “the absence of necessity, coercion, or constraint in choice or action; liberation from slavery or restraint or from the power of another”. We have been independent for 70 years, but are we free? Do we have freedom of thought, expression, lifestyle and protest? On surface, all these answers would seem positive. But we need to look deeper. If you do not believe in questioning your government’s actions or motives, you are not free. If you equate being an informed and inquisitive electorate to being a roadblock in the government’s way, you are not free. If you do not realize that greater the majority, greater should be the accountability, you are not free. If you let people sway you by rhetoric without proof, you are not free. If you are not raged by the government’s attempts to edit history to suit its narrative, you are not free. If you normalize tragedies and take “this has happened before” as an acceptable excuse, you are not free. If you are still voting your caste or religion, you are not free. If your first reaction to every tragedy is to see who is in power at that place, you are not free. If you are alright with censorship of ideas and expression, you are not free. If you trust every piece of propaganda news thatcomes your way, via text messages or social media posts, without as much as “Googling” it, you are not free. If you feel it is your duty to defend the people you voted for, no matter what, you are not free. We have celebrated many Independence Days before and we would continue to do so because of the brave men and women who defend us and our borders. Our freedom is, however, our responsibility. One can only be free if there is will to be so. We are fortunate to be a part of a country that has a constitutional framework that lets us be freer every day. This is not about starting a revolution but about the desire of being more informed. Accepting the status quo is not making us better and we must live in a dynamic state of getting informed and questioning further. The real celebration of our Independence would be making this Motherland richer by being a worthy electorate. All you have to do is ask questions and seek answers! Let freedom be upon you!